We have strong evidence to suspect that your facet joints are the source of your pain. Unfortunately, simple joint injections and/or other treatments have not provided you with adequate pain relief. Therefore, you may benefit from having the small medial branch nerves and their pain signals interrupted via a controlled non-surgical heat lesion produced by a special needle. Before interrupting these nerves and their pain signals we first block the medial branch nerve signals with numbing medicine as a test. This tells us whether or not you are likely to benefit from having the medial branch nerves interrupted at a later date by the special radio-frequency (RF) needle. This more permanent treatment is called RF medial branch neurotomy. we will provide. You may or may not feel improvement in the first few hours after the injection depending upon if the medial branch nerves that were injected are carrying pain signals from your spinal joints to your brain. 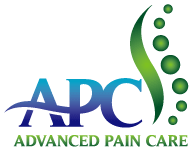 *Mail the completed pain diary back as directed so that your treating physician can be informed of your results and plan future tests and/or treatment if needed. On occasion, your neck/back may feel numb or odd for a few hours after the injection. You may notice a slight increase in your pain lasting for several days as the numbing medication wears off. Ice will typically be more helpful than heat in the first several days after the injection. Although the main purpose of this procedure is as a test to see whether you would benefit from a subsequent medial branch neurotomy, on occasion long term relief can occur from injecting medication over these nerves. You may take your regular medications after the procedure, but try to limit your pain medications for the first 6 hours after the procedure so that the diagnostic information obtained is accurate.